Like others, I spent a good portion of my years in the pastorate grieving at the amount of sacrifice that seems to be a natural part of ministry—tight budgets, long hours, overwhelming congregational expectations. But as I read the early history of the denomination, I am aware that my life is one of luxury when compared with that of the pioneer Free Will Baptist preachers of long ago. 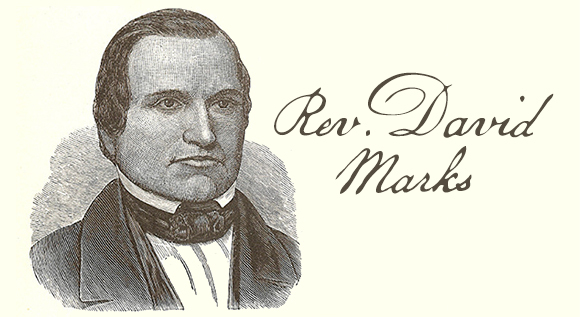 In his memoirs, David Marks, an itinerant Free Will Baptist preacher in New England, vividly described the struggles of ministry in the early 19th century. This was an exciting moment in American religious history. The Second Great Awakening had swept across the frontier states of Kentucky, Ohio and Tennessee and the whole nation seemed eager to hear the preaching of the gospel. The Free Will Baptists at this time had enjoyed great success in their part of the country and especially in New Hampshire and New York. In New York Marks found himself immersed in a preaching task that demanded all his energy and time. His recollection of one week in his ministry gives us some idea of his commitment and sacrifice. David Marks, Memoirs of the Life of David Marks, Minister of the Gospel. Dover, N.H., Published by the Free Will Baptist Printing Establishment, 1846.